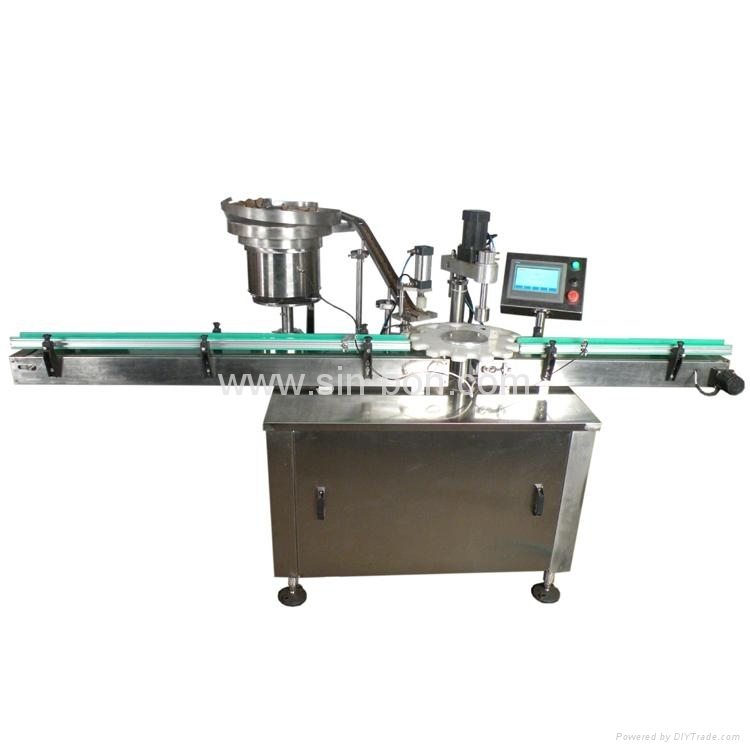 Electric control to finish automatic supply bottles and automatic filling liquid, if bottle not coming, it won’t fill liquid. Speed adjustable by inverter, easy to change the production speed. Widely used to automatic screwing or press caps for bottles.